Idyllic and hidden retreat in the heart of Roberts Creek. 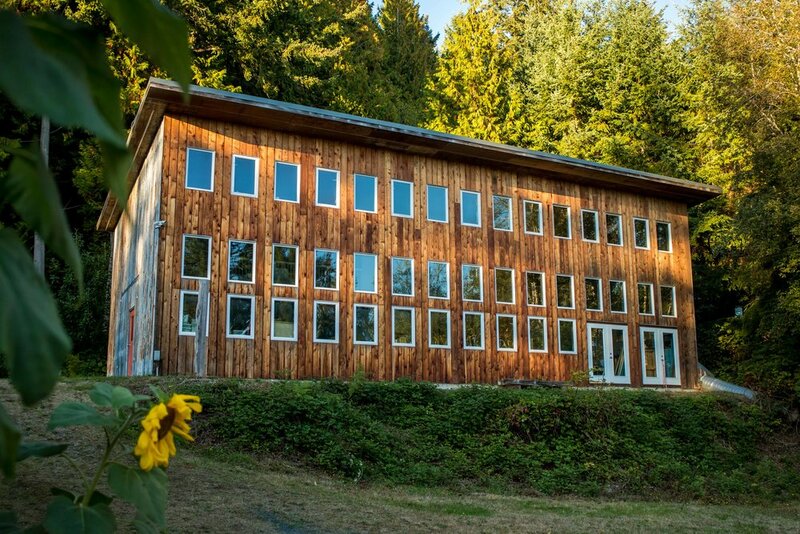 The estate boasts 5 private acres with 2 exquisite homes and an award winning Green building (Bauhaus style) with over 2000 sq ft workshop/potential guest house. The main residence is made for entertaining showcases superb craftsmanship and quality with a designer handmade bespoke kitchen and many curated materials. The home has an open plan feel, authentic architectural features, guest apartment and room to expand. The second home is a charming 3 bed cottage with superb rental capabilities. Set in a private location on the lot. Lush, lighted grounds accessible via paved road and groomed trails include unique flower and tree species, expansive gardens and forested areas and room for agricultural pursuits and hobbies. Thoughtfully developed parcel with comprehensive infrastructure installed. Prestigious, central location in Roberts Creek, close to Beaches, hiking trails, parks, restaurants and shopping. Unique opportunity to own an heirloom property for generations to come. The heart of any home is the kitchen. And the heart of this particular home is quite remarkable. Custom built bespoke kitchen with features that include white oak cabinetry-(wood is from a heritage White Oak tree in Gibsons planted by the first skipper), Pertazzoni professional 6 burner gas stove and oven, appliances from Sub zero and Miele, Built in Gaganol coffee machine, corian counters, indirect lighting, hidden storage and much more. The kitchen overlooks the sunken family room that features a Scandinavian high efficiency wood fuelled fireplace. This space is flooded with light from the large patio doors that open onto the expansive south facing deck. 2 bedrooms & den, 1 loft, 1 bath, deck, full privacy from main house, Separate septic system.